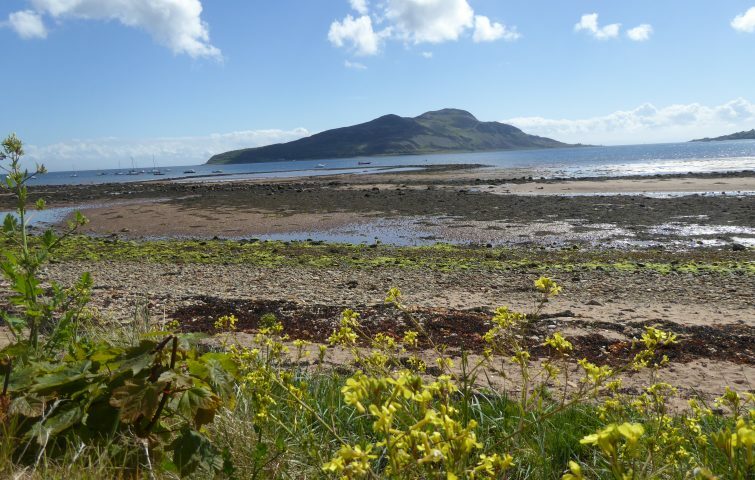 The beautiful Isle of Arran is often described as Scotland in miniature – spectacular seascapes, ruined castles, gentle farmland, forests, waterfalls, all to a backdrop of rugged mountain peaks. Seals, otters, red squirrels, red deer can all be seen, and the island also has nesting golden eagles. 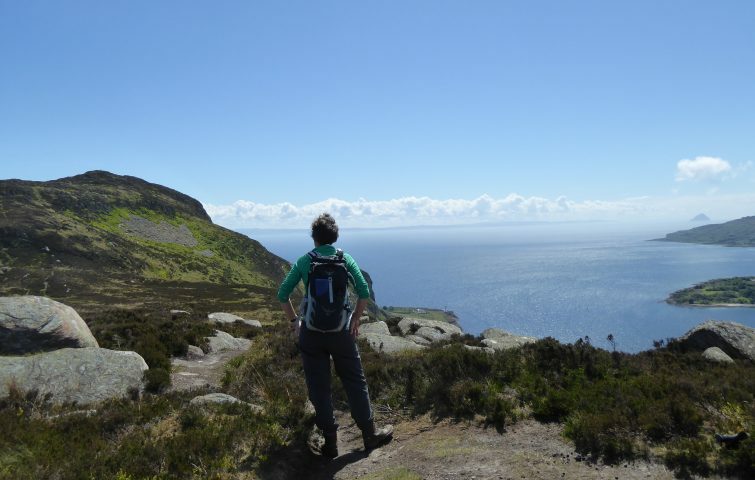 This new Intermediate grade holiday will have a great variety of walks that may include climbs to the top of Goatfell (874m) and Holy Island’s Mullach Mor (314m), exploring the forest and moor up to Loch Urie (420m) and Meallach’s Grave, along with a moorland climb at Lochranza to Laggan where we might hope to see eagles soaring. We will be staying at comfortable Dunvegan House in Brodick, which is just a few minutes walk along Shore Road from the ferry terminal. It’s a lovely red sandstone guest house which has beautiful sea views across the bay to Brodick castle and the majestic peak of Goat Fell. Brodick has a number of hotels (one with swimming pool and spa) and some shops for gifts and essentials. We will eat at the hotel on four evenings and eat out together in Brodick on the other two (not included).